The officially recognized resort city Ganderkesee on the „Green Coast Route“ lays directly in the nature park Wildeshausen Geest. The forest and meadow landscape, the country air and the pleasant atmosphere of our house offers you optimal conditions at every season of the year to relax from the everyday stress. The close metropoles Bremen and Oldenburg provide variety for eventful visits. 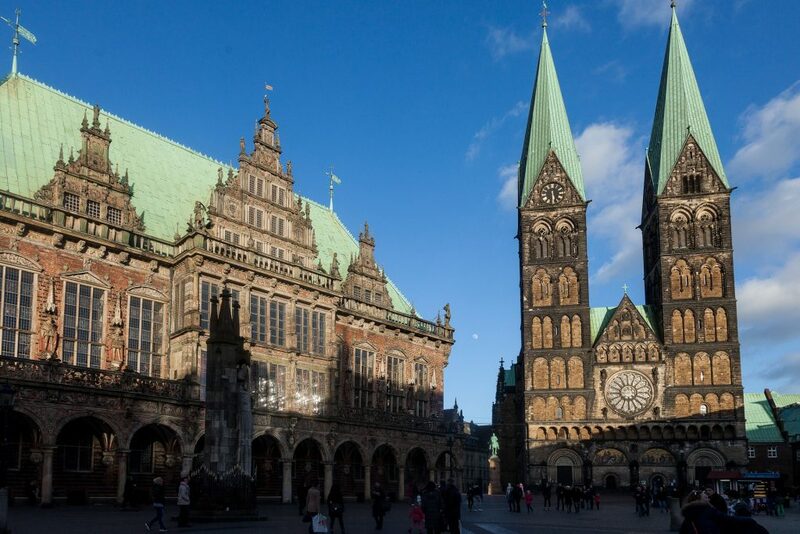 The marketplace with townhall in Bremen, the Roland and Dom are always worth a visit. On evenings, our comfortable rustic bar becomes a venue for young and old. During the beautiful season we serve you jewels of our cuisine on our patio with 150 cushioned seats with a direct view on the airfield. Through our unique location on the Airfield Ganderkesee we offer appealing opportunities like ballooning, parachuting, as well as round flight on motor planes, gliding, autogiro; you may as well combine them with a hotel arrangement. Additionally, we provide two double bowling alleys for casual activities or you can experience the beautiful landscape on our rentable bikes. As an alternative to your round flight you can enjoy one of our meals on your departure day. Bike rental and bowling alley usage is free of charge.